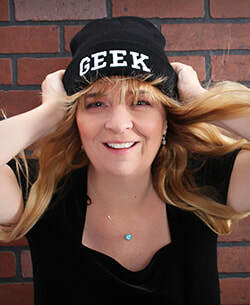 Julie Moffett is the bestselling author of the long-running Lexi Carmichael Mystery Series and the young adult White Knights mystery/spy spin-off series featuring really cool geek girls! She's been publishing books for 25 years, but writing for a lot longer. She writes in the genres of mystery, young adult, historical romance and paranormal romance. Julie has a B.A. in Political Science and Russian Language from Colorado College, a M.A. in International Affairs from The George Washington University in Washington, D.C., and an M.Ed from Liberty University. She has worked as a proposal writer, journalist, teacher, librarian, and researcher. Julie speaks Russian and Polish and has two awesome sons. Visit her website at www.JulieMoffett.com.